It felt fitting to mark tonight's leap year meditation, with a focus on sending peace to the Earth and her inhabitants, using a simple chunk of rose quartz - hope you can join us! Today marks the fourth anniversary of the launch of the Tanzine and Topaz Aura planting projects - full details on the Aura Planting Project page of this Blog. 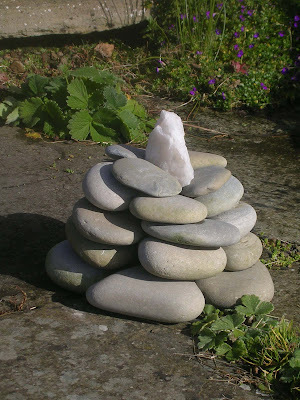 These beautiful crystals have been planted to many places across the UK and beyond and are imbuing our planet with much needed positive energy and alignment in connection with creativity and spiritual wisdom as we move towards the Astrological age of Aquarius. The day will be marked with special meditations through 12, 3 and 8pm GMT using an aura star around a Pure Grace Heart and focusing on greater spiritual connection, balance and alignment for all - hope you can join us! 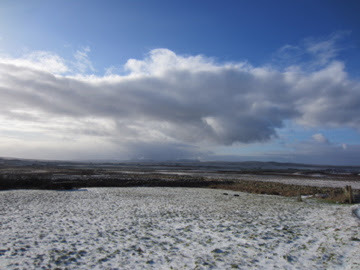 Snow and ice returned to Orkney over the weekend, making our hearts sing after the weeks of continuous rain and wind! Just a reminder that the crystals for helping sea life in distress at Old Nisthouse, Harray, Orkney were opened today at 6am for twenty four hours. Please see the posting on the 6th of January for further details and connect in whenever you are able to - thank you! 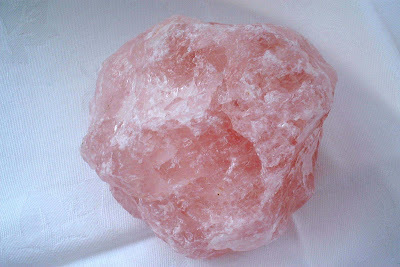 This meditation will use a chunk of rose quartz. Please use the image below as a positive focus. Thank you for you connection. Yesterdays focus on Peace was mirrored by a peaceful, still day in Orkney. With very few windless days over the last few months and winds topping 138mph at sea level in December, this provided a rare opportunity to enjoy the beauty of the islands in winter and stay warm. Rose quartz crystals in connection with the snow quartz cairn at Old Nisthouse, Orkney, were opened today at 6am GMT for twenty four hours, with a focus on World Peace. These crystals will be opened in this way on the 11th and 22nd of each month throughout the year. Please connect in or send prayers for peace across the globe, when ever you are able to, over each of the twenty four hour periods. Thank you! 'To send peace, strength and positive connections to all who are homeless across the Globe'. Please use the image of these beautiful crystals, below, as a positive focus. Watching the news today reminded me how key Peace is in our world today. Its easy to become despondent and doubtful as to where the Earth is heading, with the continual bombardment of negativity to her lands and inhabitants, in one area after another. However we can all make a positive difference simply by counteracting all the fighting and destruction by acting peacefully ourselves and by crystal planting to put Light back into our planet and her damaged, torn energy. Feel empowered and plant a piece of rose quartz for Peace today where ever you are across the globe. 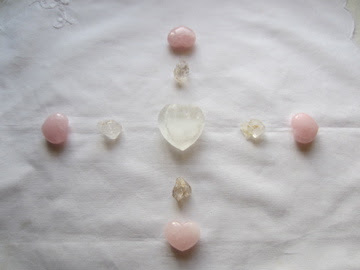 Alternatively, if you know of an area close to you where intense negative action has occurred such as a battlefield, site of terrorist attack or place of inhumane action, please get in touch and we can advise you how to return such an area to positivity and heal the negative imprints left there using a grid of rose quartz. The beauty of crystal planting is in its simplicity, yet power, to make a positive difference to all. 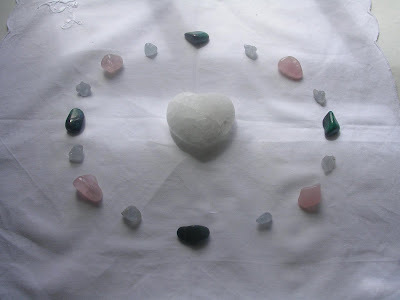 To plant a single crystal for peace choose a Rose Quartz crystal, large or small, tumbled or rough cut. Cleanse the chosen rose quartz crystal in water over night and pat dry using a clean, preferably white cotton cloth. Hold the crystal in your right palm and ask that it be Light charged to bring peace to its place of planting and all who visit or inhabit that place. Dig a hole and plant the crystal, covering it back over with soil or alternatively place under stones or in vegetation or in water where it won't be disturbed. Stand peacefully in your chosen place of planting and simply ask the Light that the crystal be ignited. Thank you have helped bring peace to the Earth and her inhabitants! This meditation will be repeated on the 1st, 12th and 24th day of each month through midday, through out 2012. 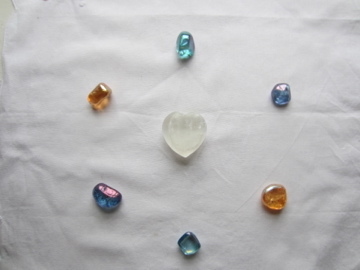 This meditation will use rose quartz and celestite crystals. Please visualise the Earth with plenty for all.